Overlord is a 2018 horror film directed by Julius Avery (Son of a Gun & Flash Gordon). It was written by Mark L. Smith (Vacancy 1/2, Martyrs, The Hole, & The Revenant) & Billy Ray (Color of Night, The Hunger Games, Captain Phillips, & Suspect Zero). It was produced by J.J. Abrams (Cloverfield franchise, Mission Impossible franchise, Star Trek franchise, Star Wars franchise, & Lost) for Bad Robot Productions. It was originally rumored to be the next Cloverfield film. The budget was $38 million & it grossed $41.7 million worldwide at the box office. On the eve of D-Day, a paratrooper squad, led by Sergeant Rensin (played by: Bokeem Woodbine from Fargo, Dead Presidents, Ray, Wishmaster 2, & Spider-Man: Homecoming) is sent to destroy a German radio tower in an old church. Their plane is shot down before they can finish the mission, leaving only five apparent survivors which include Corporal Ford (played by: Wyatt Russell from Cold in July, 22 Jump Street, We Are What We Are, & Everybody Wants Some!! ), Boyce (played by: Jovan Adepo from Tom Clancy’s Jack Ryan, Fences, The Leftovers, & Sorry for Your Loss), Tibbet (played by: John Magaro from Orange Is the New Black, Assassination of a High School President, The Box, & The Big Short), Chase (played by: Iain De Caestecker from Agents of S.H.I.E.L.D., Lost River, & Filth), & Dawson (played by: Jacob Anderson from Game of Thrones, Episodes, & The Mimic). As they are escaping from all the chaos, they are looking for a place to stay so they can put together a plan. They run into Chloe (played by: Mathilde Ollivier from The Misfortunes of François Jane, Boss Level, The Pleasure of Your Presence, & Liberté: A Call to Spy) who helps them out. The sadistic SS Hauptsturmführer Wafner (played by: Pilou Asbæk from Game of Thrones, Ghost in the Shell, The Great Wall, & Lucy) comes by Chloe’s place for his nightly check with his Nazi soldiers. She scared that they will find the American soldiers hiding there so she does nothing when Wafner starts to force himself on her. Boyce loses his cool & captures the real monster with Ford. Boyce goes out to research & help finish their plan on the tower. He discovers some horrific secrets & experiments going on inside lead by the evil genius Dr. Schmidt (played by: Erich Redman from Captain America: The First Avenger, The 12th Man, The Illusionist, & The Danish Girl). He finds & rescues fellow solider Rosenfeld (played by: Dominic Applewhite from The King’s Speech & The Inbetweeners). After mistakes are made, they are forced to save Chloe’s brother Paul (played by: Gianny Taufer) & change up their original plan. They know it’s a suicide mission but they must enter the tower to carry out their goal. All hell breaks loose & they are fighting for their lives against unnatural creations!!!! Overlord was one of my favorite films & theater experiences of 2018! It’s action packed, beyond entertaining, & so much fun. It’s a nice hybrid feature of the war & zombie sub genres. It’s more of a war & action production than horror so prepare yourself for that. Don’t get me wrong, it still has lots of dark elements in it plus some really cool zombies. It’s very violent & it has enough gore to satisfy any fan of the genre. 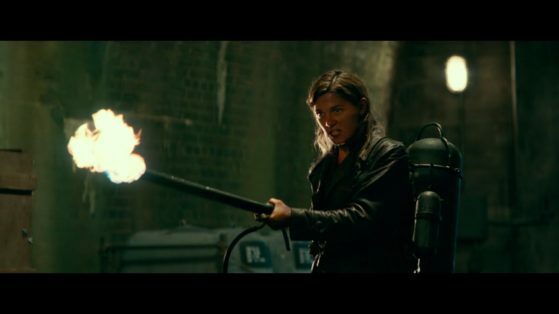 I loved the fact that they went mainly with practical effects over CGI for this when it comes to the zombies. It had an old school vibe to it which is always enjoyable to witness especially these days where most stuff is the same. The visual effects for the opening scene were amazing. I think it was really smart to cast a group of unknown actors for this. They had great chemistry together & all of them turned in good performances. It felt very real & not too over the top or cartoony at all which was refreshing. Wyatt Russell looks more like a young Woody Harrelson than his legendary father Kurt. Both Wyatt Russell & Jovan Adepo were very impressive as the leads, I am looking forward to seeing more from them. Bokeem Woodbine was great, I wish his character had more screen time in this. Pilou Asbæk always plays a great scumbag, you love to hate him. The script was well written, the cinematography was top notch, & the music set the tone. 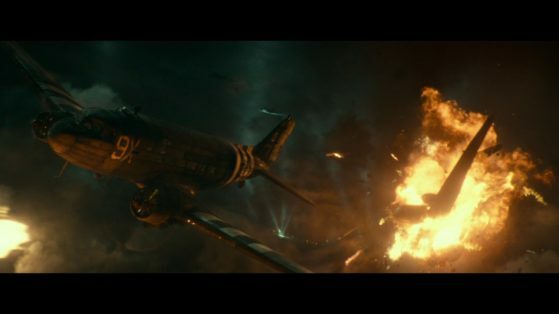 The overall production for Overlord was damn near perfect. I can’t recommend this enough, it gets better with each viewing also. If you are looking for an awesome action horror hybrid, this is HIGHLY RECOMMENDED!!!! Let’s talk about the high definition presentation from Paramount Pictures!!!! This 2160p (2.40:1) transfer with Dolby Vision & HDR10 looks amazing in 4K. 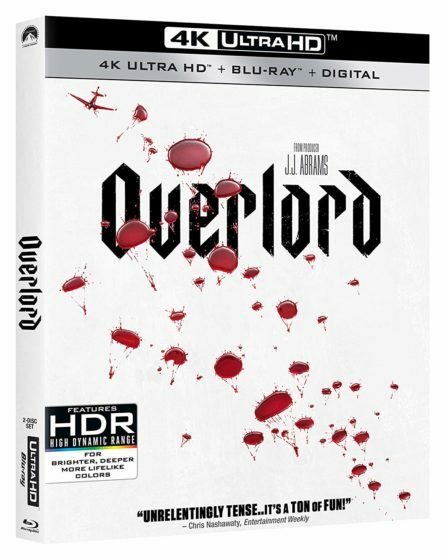 Overlord is one of the visual treats of 2018 & it definitely delivers on home video. It’s loaded with a variety of audio which includes English: Dolby Atmos, English: Dolby TrueHD 7.1, French (Canada): Dolby Digital 5.1, French: Dolby Digital 5.1, German: Dolby Digital 5.1, Italian: Dolby Digital 5.1, Japanese: Dolby Digital 5.1, Polish: Dolby Digital 5.1, Portuguese: Dolby Digital 5.1, Russian: Dolby Digital 5.1, & Spanish: Dolby Digital 5.1 on this UHD disc. That’s a crazy amount of options when it comes to sound. It has a killer boost to it with all the action & chaotic moments plus dialogue is very clean. When it comes to reference quality, this is one to consider. It’s also packed with subtitles which include English SDH, French, German, Italian, Japanese, Portuguese, Spanish, Arabic, Cantonese, Czech, Danish, Dutch, Finnish, Greek, Hindi, Hungarian, Korean, Malay, Mandarin (Traditional), Norwegian, Polish, Romanian, Russian, Slovak, Swedish, Thai, & Turkish. Technically, you honestly can’t get better than this. It’s beyond impressive, both picture & sound are top notch!!!! 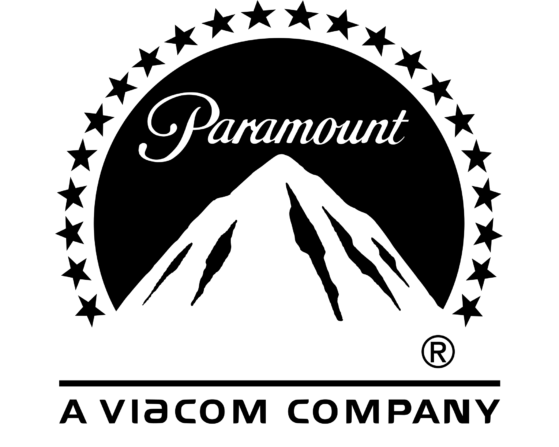 Let’s discuss the special features from Paramount! None of them are on the UHD disc but they are included on the blu ray. “The Horrors of War” covers aspects of the production & it is broken in several different featurettes that are discussed below. “Creation” is a little over 11 minutes. It has interviews with director Julius Avery, producer J.J. Abrams, actors Wyatt Russell, Jovan Adepo, Pilou Asbæk, Bokeem Woodbine, John Magaro, Dominic Applewhite, & various members of the production. They chat about the origins of the project. They talk about the writers & script for it. Julius Avery mentions his inspirations for making a war picture. They go into details about casting the feature. They bring up the designs & overall look of it. “Death Above” is a little over 7 minutes. It has interviews with director Julius Avery, producer J.J. Abrams, actors Wyatt Russell, Jovan Adepo, Iain De Caestecker, Bokeem Woodbine, John Magaro, Dominic Applewhite, & others. They discuss how unconformable it was to shoot the opening scene. They chat about how it made them bond them together as a real group. It shows some before & after shots with the visual effects. They talk about Julius Avery’s directing style for it. “Death on the Ground” is a little over 9 minutes. It has interviews with director Julius Avery, producer J.J. Abrams, actors Pilou Asbæk, Iain De Caestecker, Mathilde Ollivier, & various members of the production. They chat about the aftermath of the opening scene & where it lead the soldiers. They talk about the Chloe & Wafner characters. They bring up the special effects for it. “Death Below” is a little over 6 minutes. It has interviews with various members of the production. It talks about the church, tower, & bunker locations. They chat about it going from a war film to horror. It takes you behind the scenes for it. “Death No More” is a little over 12 minutes. It has interviews with various members of the production. They focus on the practical special effects for the film. They chat about wanting to make it more old school & not using CGI for the zombies. It takes you behind the scenes & shows them working on the main zombie The Mistake. They talk about the character & how he became that way. They mention how they came up with Wafner’s look for the last half of the film. It goes over the action & their experience with it. “Brothers in Arms” is a little over 5 minutes. It has interviews with various members of the production. They all chat about the creative team of Julius Avery & J.J. Abrams. They talk about their experience working with them on Overlord. They bring up how their involvement elevated the entire production. They mention how well they work together on this. It also comes with a blu ray, digital code, & a slipcover. This should be included in everyone’s collection, it’s a must own. It’s available in several other formats including a solo blu ray with different artwork & DVD. It’s available everywhere right now, CHECK IT OUT!!! !